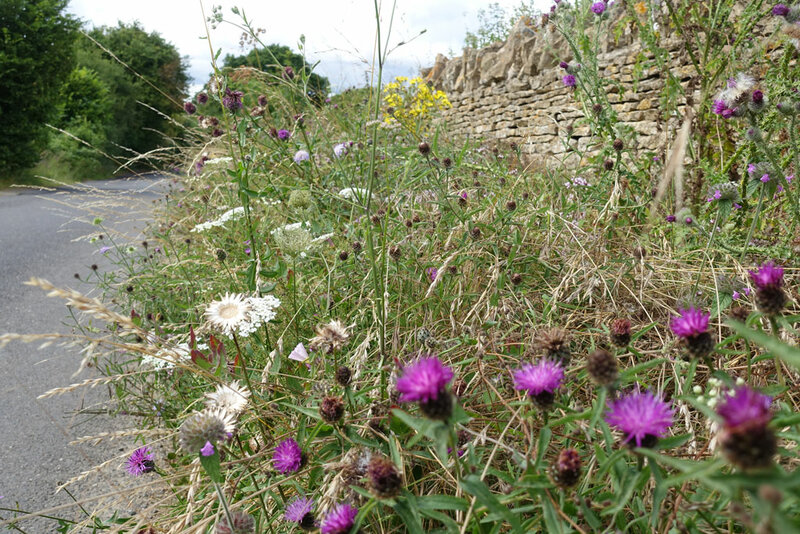 I am continuing with my cycle training this month, but am paying as much interest to the wildflowers by the side of the road. 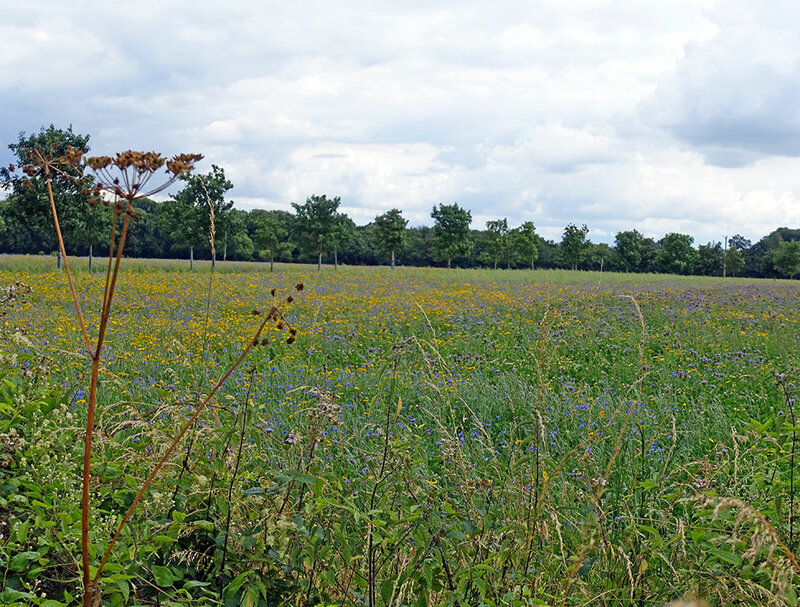 A field of wildflowers near Charlbury. I caught a glimpse of this field through a gap in the hedge. 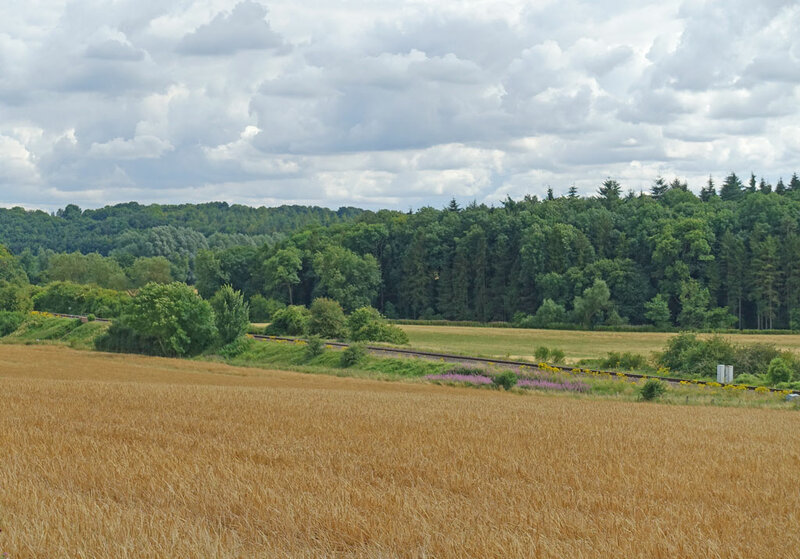 This is the view from the road – it doesn’t look too much, but a bit closer and there was a wonderful assortment of deep yellows and blues, which have a pleasing contrast. 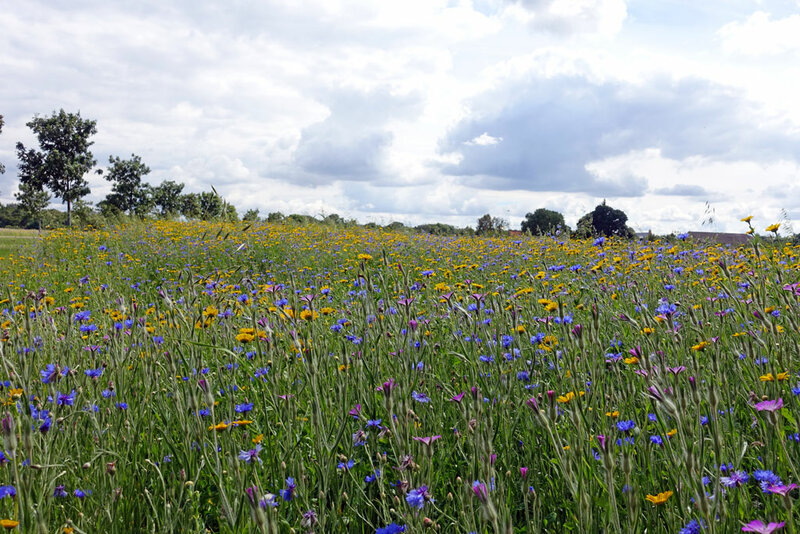 The field is managed by Blenheim Palace estate. 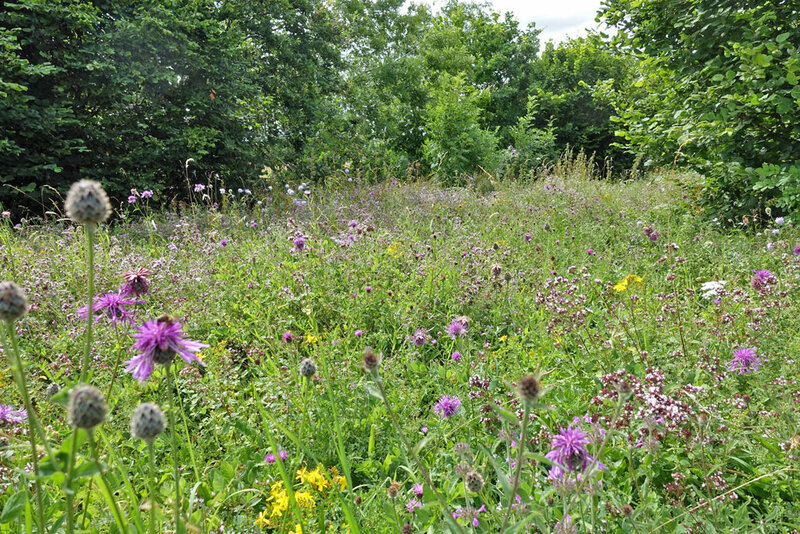 I can only imagine it was a conscious effort to grow a wildlife meadow. 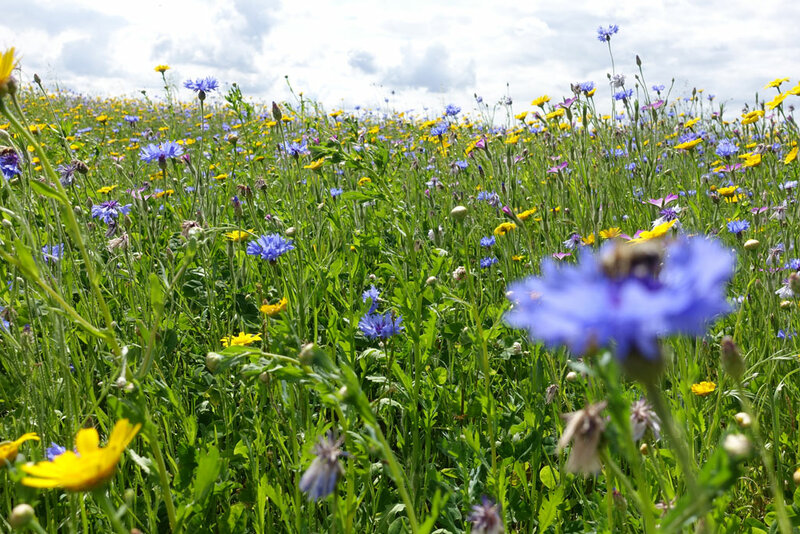 They have done a great job, and it was a bonus being so unexpected in the middle of arable, one crop farming. 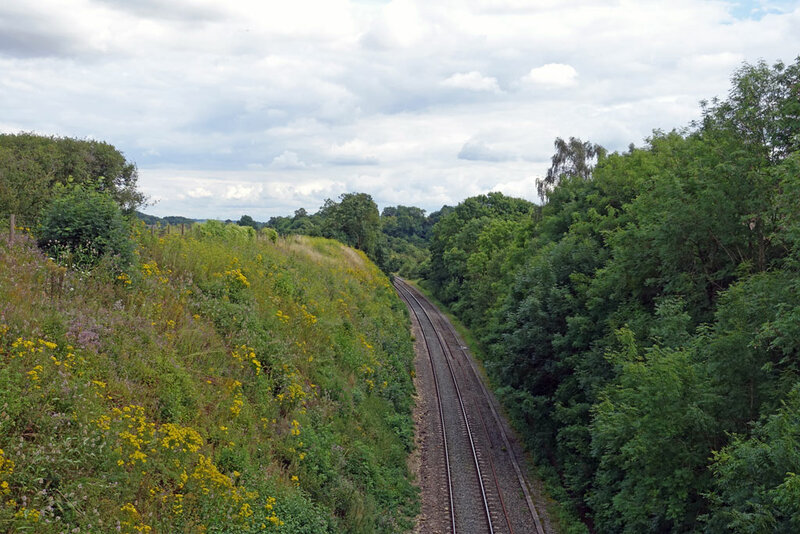 This is the Cotswold line from London Paddington to Oxford and Worcester. 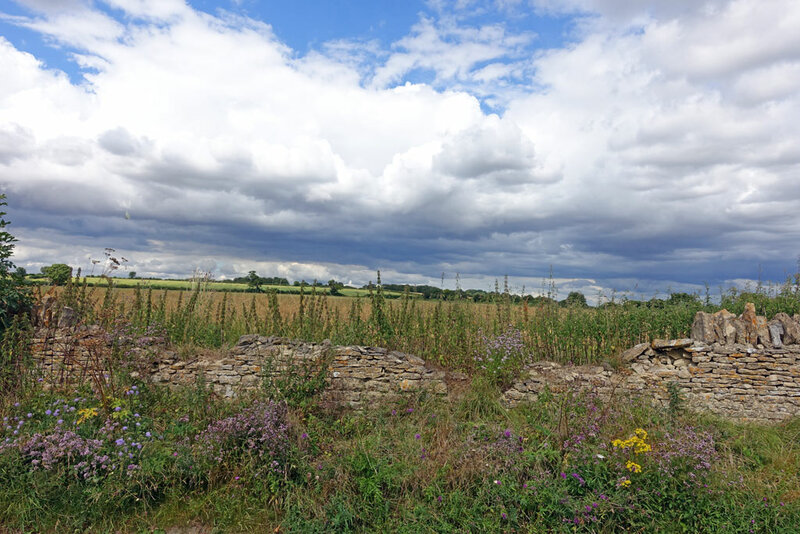 Here it is single line between Hanborough and Charlbury. 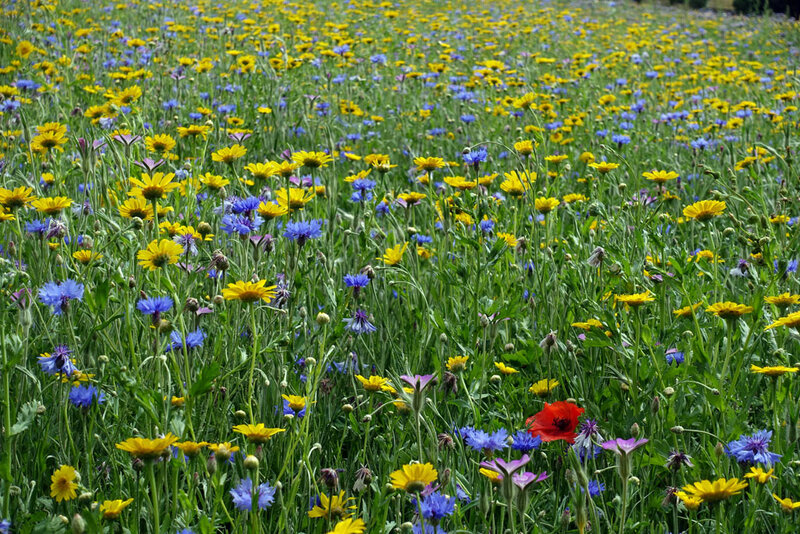 The field in front is a mono-crop and largely bereft of wildlife. 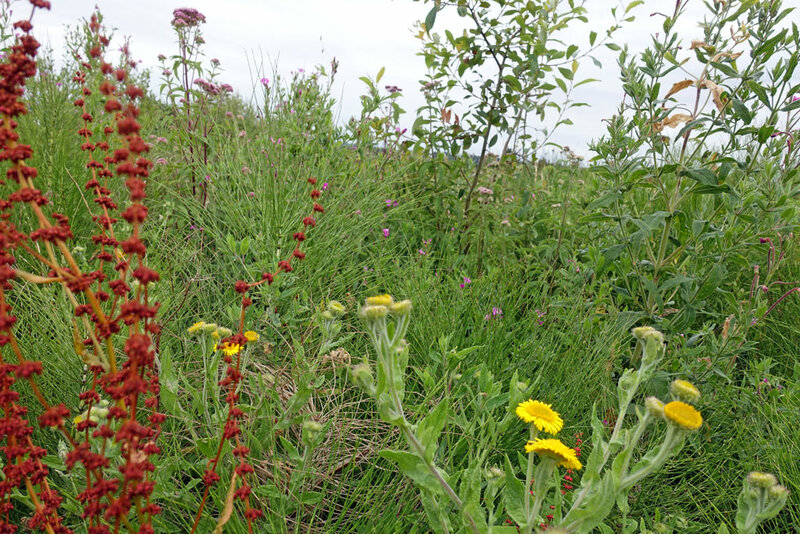 Numerous times you drive along roads getting a quick view of the verges. At speed, they don’t catch the eye like some more formal garden displays. 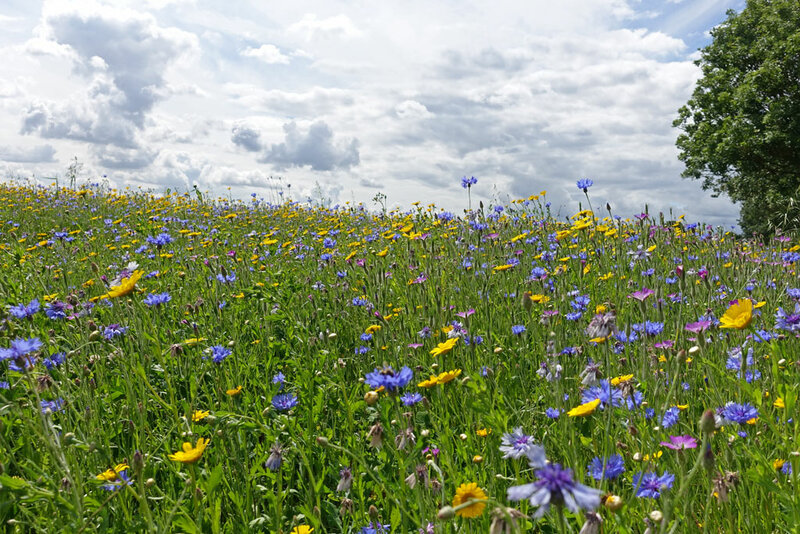 But, I love the simplicity and naturalness of the way the flowers poke through the grass. 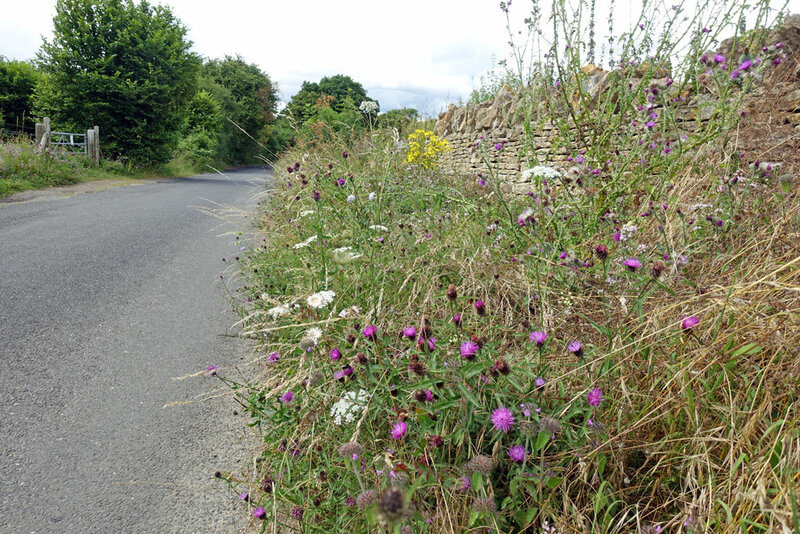 Although, they are not the most exciting floral displays, there is a tremendous variety at different stages of the road. There was one busy road with great displays, though it was too busy to stop. This is on a minor road and quite quiet. 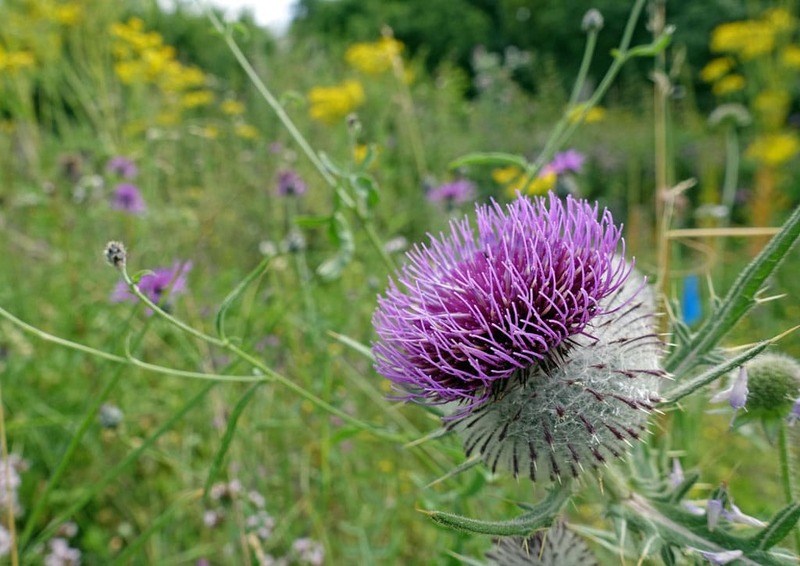 This is a Thistle, looking in great shape. Mostly purples with odd yellow. 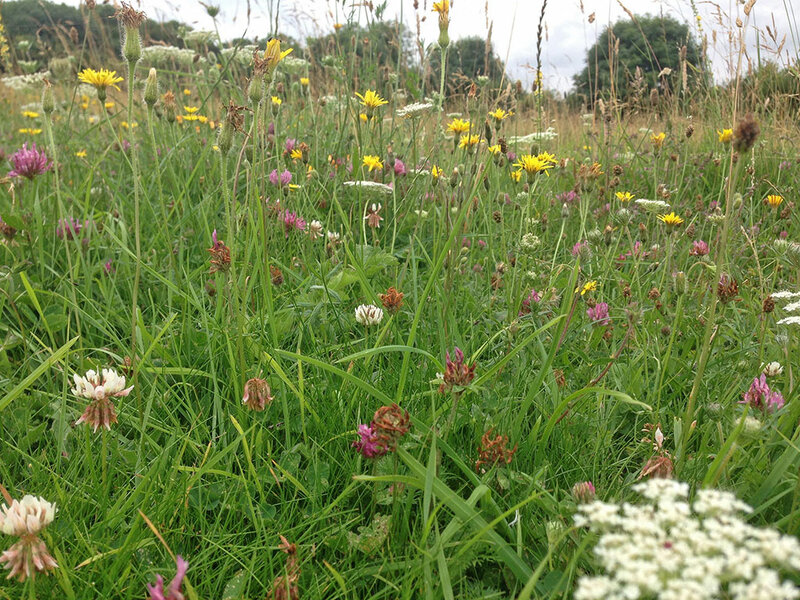 The thin strips of roadside verges are an important wildlife haven around the vast expanse of farmland. 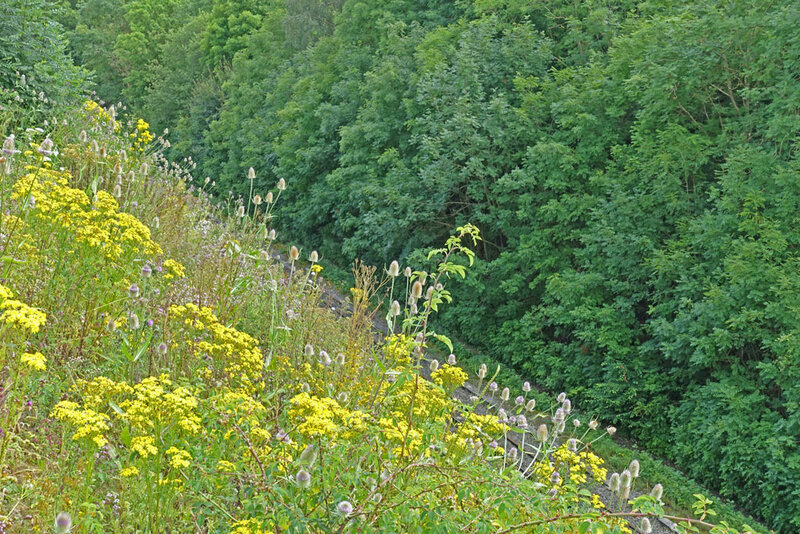 A steep railway cutting, which was a hive of buzzing insects. A lone red poppy. I wonder if it was the intention to have more red poppies – it would have been the three primary colours of red, yellow and blue. 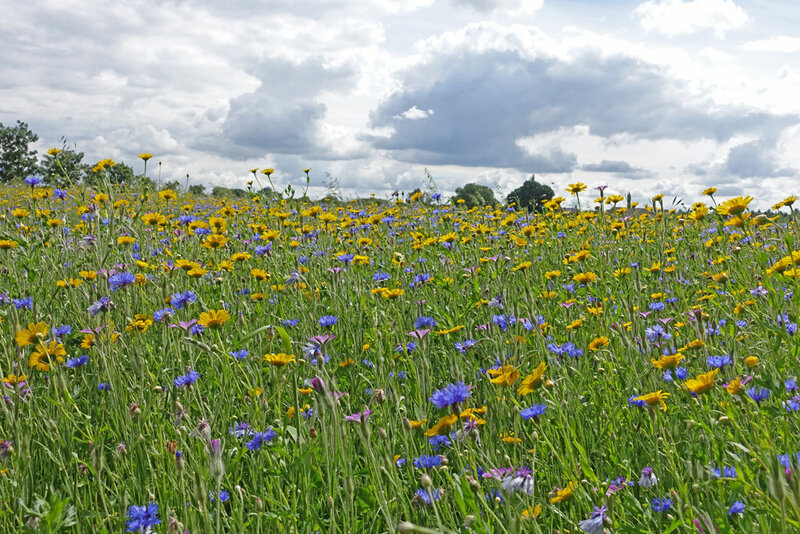 Large drifts of flowers. 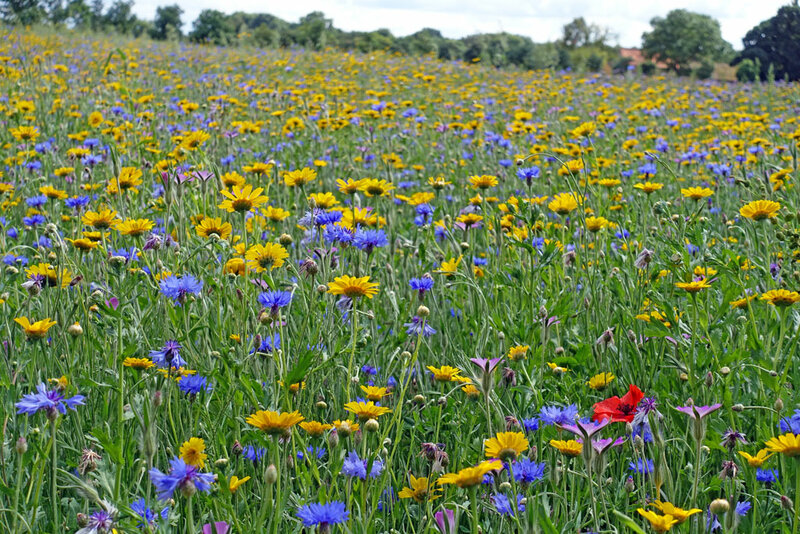 I’ve never seen a meadow quite like this. 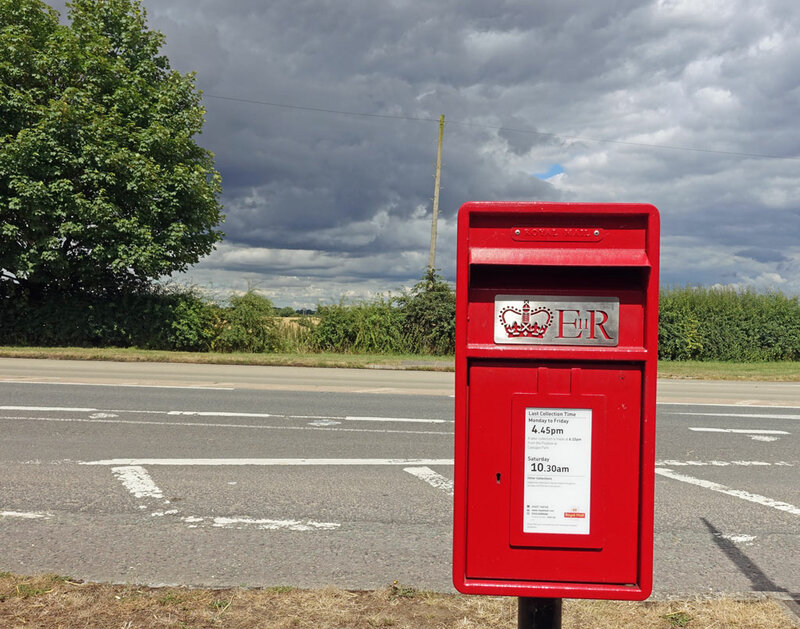 Red letterbox looking resplendent against the darkening clouds. This is one of the best maintained letterbox I’ve seen. I carried a card from Oxford for 15 miles, assuming I must come across a letterbox by the side of road at some point, but it took me 15 miles to come across this. I was so impressed, I took a photo. Dead seed heads have their own drama. 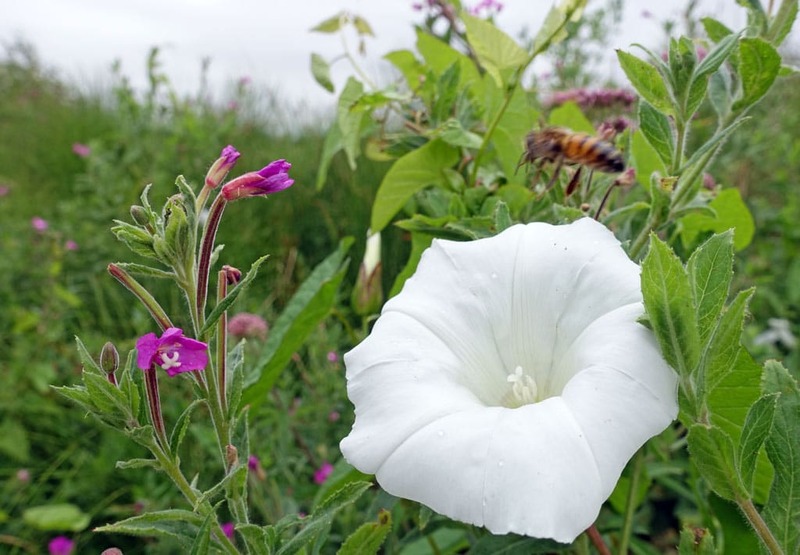 Bindwind – the bane of gardeners, but great flower.